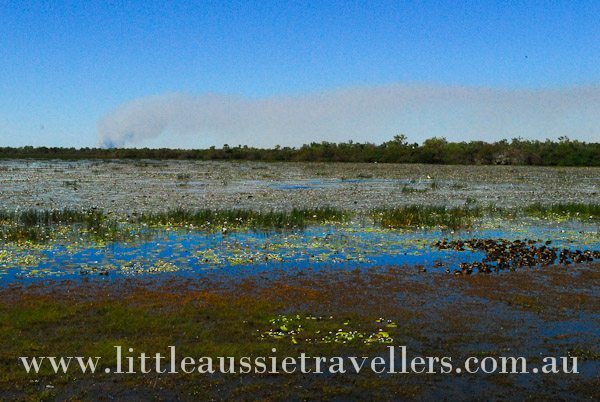 Kakadu with Kids - Family Holidays in Kakadu - Things to see and do. 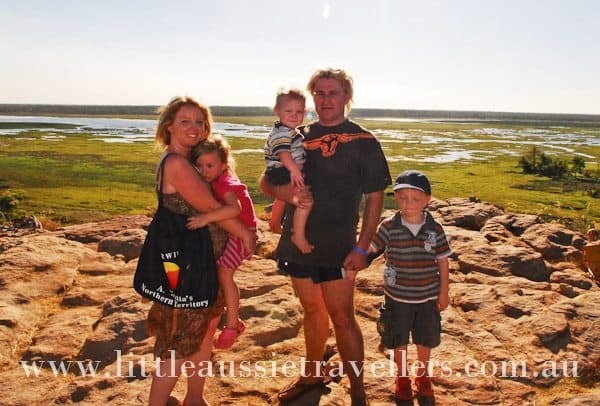 We’re going to take a look at Kakadu and it’s suitability for a family holiday destination. It’s a place I would encourage everyone to visit once in their lifetime. Seeing rock art that is centuries old gives you a real vision into just how small our part in this world is, and how important it is that we care for this land like the generations of people who lived here for centuries before us. If your family has any love of the great outdoors, then definitely it’s a must see. 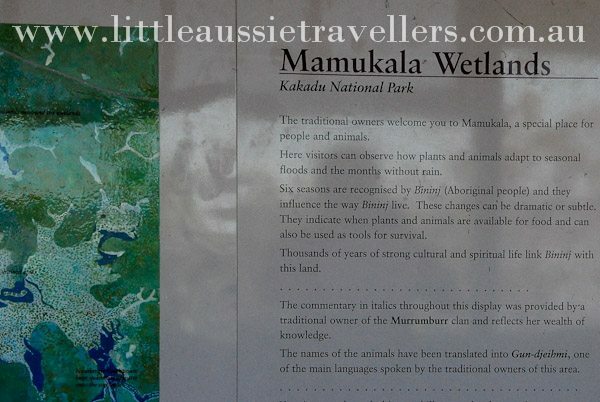 Kakadu left us changed, taught us about the true history of Australia, and left us in awe of the Aboriginal culture and it’s depth and importance when it comes to the future of the environment in Australia. Where is Kakadu National Park Located? Kakadu National Park is situated around 250kms from Darwin in the Northern Territory of Australia. When travelling South of Darwin, it is accessed by turning off the Stuart Highway, onto the Arnhem highway toward Humpty Doo, alternatively, by exiting the Stuart Highway near Pine Creek and turning onto the Arnhem Highway when travelling from further inland NT. It’s important to note that travelling at dawn, dusk or night in the Northern Territory, or anywhere outside Australian cities, presents a higher risk of wildlife being injured. If you need to travel at these times, it’s important to travel slowly to ensure you’re able to reduce the risk of hitting wildlife and causing injury to both the wildlife and your vehicle. Keep this in mind when planning your travel itinerary. The road into the park is all bitumen, so the main tourist areas are accessible via 2wd. There are some camp grounds and walk areas that are often only 4wd accessible. For travelling with younger kids, the shorter, more accessible walks and tours will provide a great experience, so a 4wd is definitely not necessary. Mamukala Wetlands: Stop in at Mamukala Wetlands for a spectacular view, with great signage and lots of bird life! 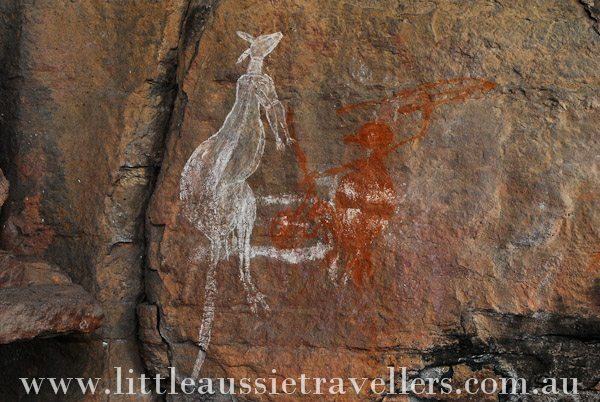 Ubirr Rock Art Site in Kakadu: Without a doubt, one of the greatest attractions for visiting Kakadu is to see Aboriginal Rock Art up close. Ubirr is an easily accessible area that offers wonderful rock art sites, and the opportunity to climb to the very top for spectacular views across the National Park. It’s a great idea to tag along on a ranger talk about the rock art, but if you’re there at other times there are great signs that tell the stories of the art as you walk around. There are several options for taking in the sights around Ubirr. These include a wheelchair accessible route to take in much of the rock art sites, right through to the climb up to the Nadab lookout for spectacular views. 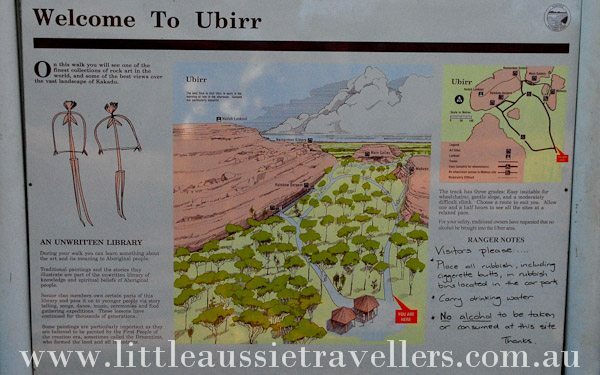 Note for experiencing Ubirr with kids: Take plenty of water and snacks, wear hats and sunscreen, be sure to have comfy shoes that won’t give blisters, and are suitable for walking the rock climb if going to the top lookout. Our children were 5, 3 and 1 when we did the climb to the lookout and were comfortable doing the entire walk. It’s VERY important to watch children closely when climbing to the lookout and while on the top, it’s a natural environment and does not provide child safe barriers (that would ruin the view). It’s perfectly find for families who feel comfortable tackling something like this, but extra care should definitely be taken with young children. (Angbangbang) Nourlangie and Nanguluwur art sites: These sites offer a spectacular gallery of Aboriginal Art, and are definitely not to be missed. There’s plenty of walking, but we found it fairly easy so if your kids are up to the challenge, then this nature wonderland is a spectacular walk with art that you won’t forget! Yellow Water: The aboriginal name for Yellow Water is Ngurrungurrudjba. 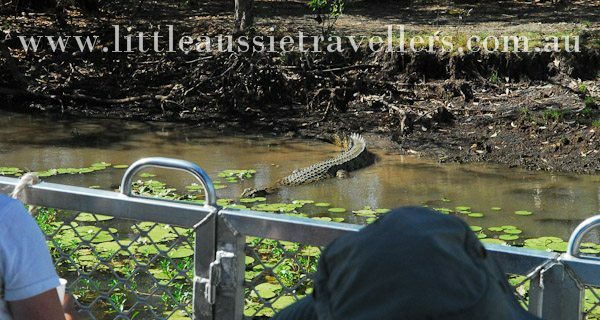 This is a spectacular place for a family to take a Yellow Water cruise and see an abundance of Kakadu wildlife up close. See huge crocs sunning themselves and a wide range of birdlife as you cruise the Kakadu wetlands. There are a range of boardwalks to take in the world renowned wetlands, or a range of cruise options that run all day. Cruises give you a chance to not only see wildlife up close, but to learn more about the region, history and wildlife from highly experienced guides. 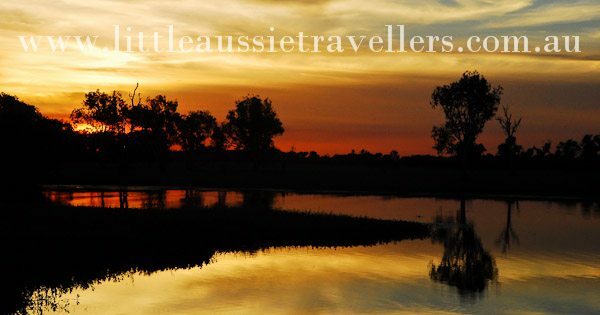 You will LOVE Kakadu! It’s such a spiritual place! Litchfield National Park near Darwin is stunning and great for kids too with the giant termite mounds and buley rock hole for swimming. Hi, we are looking at going to Darwin, and trying to work out the best way to see both Litchfield and Kakadu, and Katherine in around 10 days, with two kids (7 & 4). Any suggestions that doesn’t require all day driving? Also trying to avoid lots of 1 night stops, I prefer 2-3 nights stop due to all the stuff required when traveling with kids!! Would love your opinion…. Thanks. Sounds like a great trip. You can definitely fill a few days in Darwin, there’s a couple of animal parks/croc farms to see, there’s fish feeding, the water park, the wharves and the free museum is awesome, and don’t miss the Mindil Beach markets. 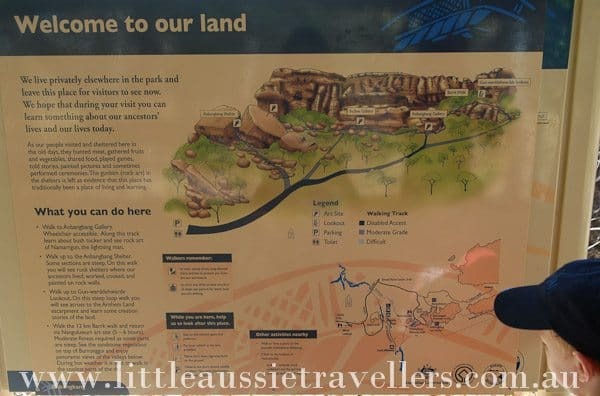 Litchfield can be done in a day trip from Darwin, especially if you’re staying on the outskirts of town heading toward Litchfield.The main things I would recommend there is Buley rock holes, and the big termite mounds. Perhaps a couple of days in Darwin, then a day trip to Litchfield, followed by another day or so in Darwin before heading onto Kakadu as to break up the driving I would then loop through Kakadu, it takes about 3.5hrs to get to from Darwin. You can either book and stay in a park at Jabiru, or camp with minimal fees in the National Park camps. Remember that everything (and there’s not very much) in Jabiru closes early, so don’t get caught out needing supplies. The club there does a nice feed though. Yellow Waters also has camping spots, and cabins etc too, but it’s further on and more onto the road out of the Park heading toward Katherine. There is a great cruise there though, so it’s worth at least a nights stay (although I know you’re trying to minimise short stays). Then I’d leave from there and head onto Katherine. You can visit the school of the air, see the hot springs, we took a morning cruise on the gorge, and it was wonderful. The Cutta, Cutta caves are also close by. Wow, thanks for your website! We are now planning our HUGE 6 week travelling holiday from Gove (NT) down the centre to Perth and back up the West Coast next year. Our 3 kids will be 5, 4 and 16m, so your information is fantastic! Im still not sure about doing this trip with a four and two year old, was planning it for my fortieth but wondering if I should wait until they are older. Onsideringmky husband can’t travel with me in the dry season. Thanks so much for popping in. 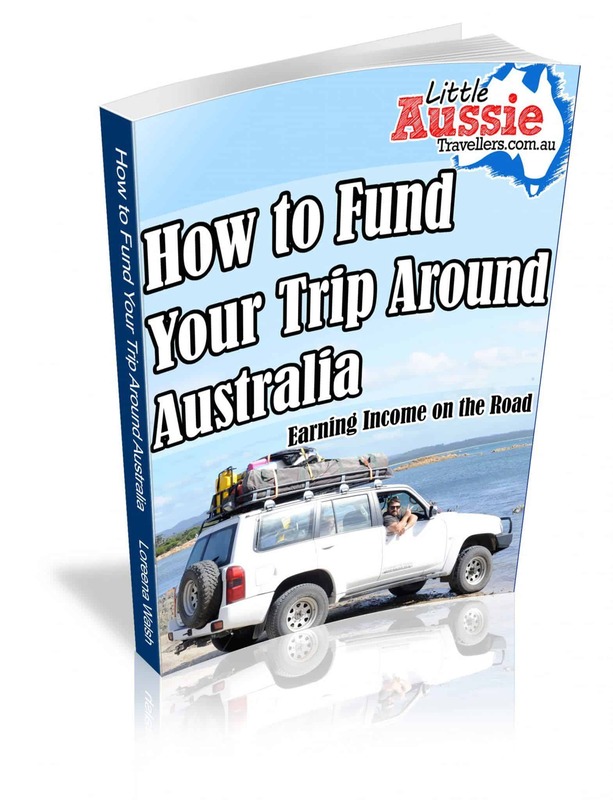 You won’t need to hire a 4wd to do a basic trip around Kakadu etc. A regular car can definitely get you to most places, when we did our first trip to Kakadu we were only in a hire car, a Toyota Camry, and it was great. Of course there are some places you can’t get to, but that doesn’t matter, go with what you have I say, and you can always visit again. There’s HEAPS to see that a 2wd will get you to. Have fun!!! Huge thanks for your website. I am a novice when it comes to the Top End. We would like to visit in July with a 3 and 1 year old. Darwin, Litchfield and Kakadu. I’ve read up quite a bit on the parks but I am still nervous about travelling with my kids. And it’s all to do with the crocodiles! Should I put it off until they are older? Sorry it’s taken so long to get back to your comment. I hope your planning is in full swing and you have a great trip. Our children were really young when we did that trip and it’s awesome! Just use common sense and stay away from the water’s edge when it’s signed for crocs, and they’ll be fine. There’s so many wonderful things to see!